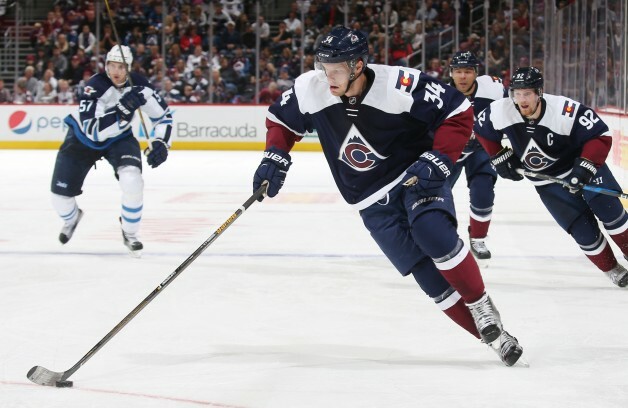 In fighting adversity, no NHL player might have accomplished more for himself than Colorado Avalanche center Carl Soderberg, who is legally blind in his left eye. In his words, driving home from the Pepsi Center after a game is more difficult than playing hockey at its highest level. Making plays with one eye and avoiding an authentic blindside hit is easier than navigating Interstate 25 and finding the exit to his home. “Dangerous,” Soderberg said of driving at night. Soderberg will never see anything sharp and refined out of his left eye. A lifted stick and detached retina when he was a 21-year-old hockey player in Sweden changed his life forever. But it didn’t end his hockey career – which has taken him to the NHL and playing for Sweden at the 2016 World Cup of Hockey in Toronto. Credit Soderberg for relearning how to play hockey and becoming the player he was projected with complete vision. Now 31, Soderberg was a second-round draft pick by the St. Louis Blues in 2004, but he didn’t play in the NHL until 2013 at age 28 with the Boston Bruins. Last season, his first with Colorado, he amassed a career-high 51 points and was named the Professional Hockey Writers Association Colorado chapter’s nominee for the Bill Masterton Trophy, which goes to the NHL player who stands for perseverance, sportsmanship and dedication to hockey. Soderberg wasn’t so dedicated to hockey in 2006 after an opposing player in the Swedish Elite League tried to lift his stick, but instead dug the toe of his stick into Soderberg’s left eye. And yes, he was wearing a visor. The stick became lodged between his face and the visor. Soderberg didn’t play hockey for a year. How bad is the vision in his left eye now? A centerman has more responsibility than a winger, but Soderberg feels more confident in the middle. Wingers have to take passes off the wall, and sometimes opposing defensemen will skate down from the blue line and crush the winger. If Soderberg is posting up for the breakout on the left wing, with his backside against the boards, he can’t see the defenseman to his left. If he was posting up on the right wall, he has problems tracking the puck – usually from a teammate’s up-ice pass from the corner. Soderberg will remain in the middle, where his teammates and coaches know he belongs. “He’s obviously a very intelligent player because it would take an intelligent player to do what he’s doing with one eye,” Colorado head coach Jared Bednar said.